Most people who quit smoking worry about gaining weight. It seems to go with the territory. While a small gain is normal, excessive weight gain when you quit smoking can create new health problems and erode your determination to stay off cigarettes. Let's take a look at what you can do to keep your weight under control as you go through the process of recovery from nicotine addiction. Smoking burns up to 200 calories a day in a heavy smoker. Because smoking burns calories, metabolism is boosted (increased) slightly. Nicotine is an appetite suppressant. When you quit smoking, a gain of between 5 and 10 pounds during the first few months of cessation is normal. If your eating habits have remained the same as they were when you smoked, the weight should come back off within a few months. Add some exercise to your daily regimen like a brisk 30-minute walk, and you'll help speed the weight loss along or perhaps avoid it altogether. Smoking cessation throws our bodies into shock initially. Increased appetite is a side effect of quitting tobacco for most people. Cigarettes as an appetite suppressant: Smokers often avoid between-meal snacking by lighting up. Nicotine is a stimulant, and may also interfere with the release of the hormone insulin. Insulin controls glucose levels in the blood. When this function is blocked, a person will become slightly hyperglycemic, and as a result, the body and brain may slow down the hormones and other signals that trigger feelings of hunger. Food as a replacement for smoking: Early on in a person's quit, the urge to smoke is frequent and uncomfortable. Most of us feel the loss of the hand-to-mouth action of smoking acutely, and food often seems like a reasonable replacement. This can lead to overeating and weight gain though, so it's better to find a healthier substitute for smoking. Dopamine and the urge to snack: Nicotine and food share a common chemical reaction in our brains: the release of dopamine. Dopamine is called the "feel good" hormone because it creates a sense of well-being. When nicotine is no longer in the picture, many of us to turn to food for that boost. The emotional comfort food gives us is a result of this chemical reaction in the brain. Exercise also releases dopamine, so consider using it as a way of improving your mood and minimizing cravings. It will have the added benefit of helping you to speed up a sluggish metabolism and avoid weight gain as well; a win every way you look at it. Studies have shown that women are at greater risk than men for returning to smoking as a way to avoid weight gain. Understanding what happens to our bodies when we quit smoking and what we can do to alleviate discomforts in constructive ways will help us stay on track and keep weight gain at a minimum. 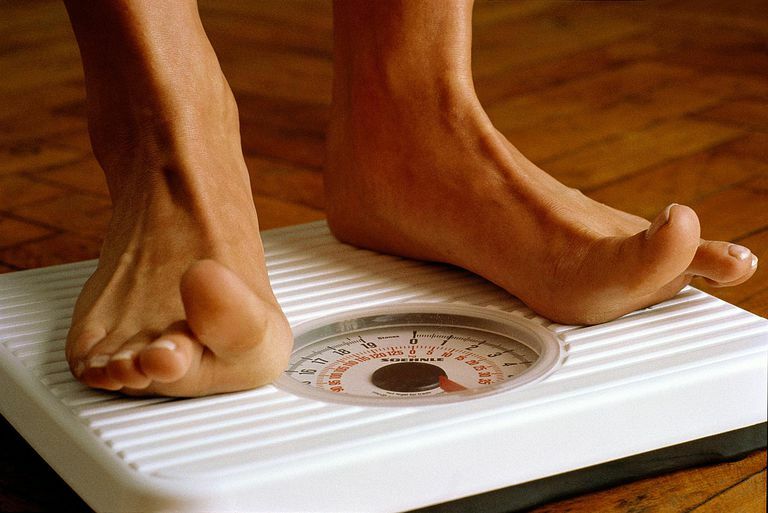 There are a number of choices you can make to minimize weight gain. As mentioned above, exercise releases dopamine and is a great way to stave off cravings to smoke. It can also help you keep your weight stable. Shoot for at least a half hour of exercise, 5 days a week. It doesn't have to be a high-intensity aerobic workout; a brisk 30-minute walk around your neighborhood will work wonders for your body, mind, and soul. seeds and nuts - choose those that you have to remove the shell. Gives your hands something to do and helps you eat less. If you're concerned about weight gain, do yourself a favor and remove tempting, high-fat foods from your home. If you have a strong craving for a decadent dessert, it's better to go out to a restaurant and indulge in a single serving, rather than have an entire cake sitting on the counter calling your name every time you walk through the kitchen. Not only is alcohol high in calories, it is often an intense trigger to smoke. Additionally, alcohol tends to relax our inhibitions, and for an ex-smoker, that can spell trouble. Avoid the empty calories in alcohol, but more importantly, don't put yourself at risk of relapse by drinking early in your quit program. People who quit smoking often decide it's time to clean their lives up in other areas as well. That's great, but be careful. If you try to do too many self-improvement projects at once, you run the risk of failing at all of them. Be good to yourself. Quitting tobacco is a huge accomplishment, and you should reward yourself for your progress often. Don't underestimate the magnitude of what you are doing. Be patient. Quitting smoking is a process that takes time. It doesn't happen overnight, but in comparison to the number of years most of us smoked, recovery from nicotine addiction is short. Give yourself the time you need to heal. Accept yourself. You are a wonderful person just as you are right now. If you gain a few pounds while going through the process of quitting tobacco, so be it. The benefits will affect your life as well as those who love you in more positive ways than you can imagine. You can quit smoking without gaining a lot of weight. Don't let the fear of weight gain keep you chained to an addiction that will kill you, given the chance. Weight can be lost, lungs cannot.